Laced With Love is dedicated to keeping manufacture within the UK. Not only to sustain quality but also to support the economy. Recently I have been lucky enough to visit some of the few remaining British clothing factories, which make coats for the like of customers including Burberry and Barbour. Last week I had the privilege of watching these Barbour jackets being made by a highly skilled team of tailors and machinists. 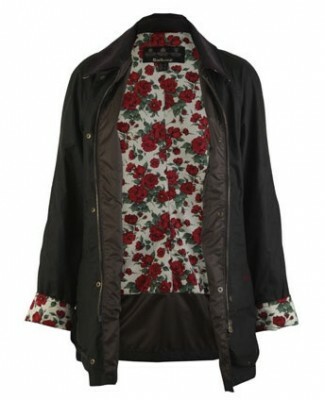 The jackets use a 'Liberty Print' lining, which I love! Visiting the factories has only reconfirmed Laced With Love's belief in UK manufacturing and sustaining British Heritage. We look forward to launching our online shop in 2012, all products will of course, be handmade in Britain.